Post His Fight With Kapil Sharma, Sunil Grover Hikes His Fee Double The Amount He Charged Earlier! The infamous mid-air fight between comedian Sunil Grover and Kapil Sharma has drastically affected their professional life. Ever since their fallout, the two are facing career challenges and moreover, the fight has affected their pay scales drastically. Sunil Grover, who has quit ‘The Kapil Sharma Show’ is currently taking offers for live events and is making special appearances on various TV shows. According to reports, the comedian has started charging double the amount that he used to charge earlier for shows. 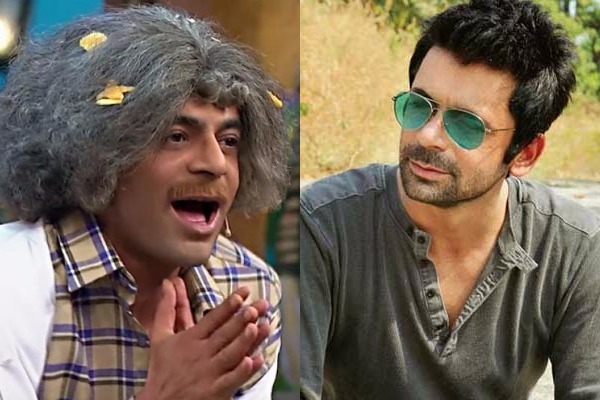 Reportedly, Sunil Grover, who used to charge Rs 7 – 8 lakh per episode, now charges a whopping Rs 13 – 14 lakhs. Yes, double the amount! Now, this is something huge and a drastic change in Grover’s career graph after he quit Kapil Sharma’s show. Also Read: Sunil Grover Hurls A Shoe Back At Kapil Sharma With This Picture! In the case of his association with Sony TV and ‘The Kapil Sharma Show’, his contract, which has ended since April 2017, hasn’t been renewed yet. Meanwhile, Sunil has also not signed any comedy show and is seen doing only live shows all over the country. Next : ICW 2017 Day 2: Disha Patani Makes A Stunning Appearance For Manav Gangwani!